The seeds of my samani have sprouted and are bravely growing upwards. The other day a delicious shipment of traditional deserts arrived on my footsteps: pakhlava, shekerbura and shor gogal. The house was filled with the aroma of rice and we lit up some candles. This fire aspect of the holiday takes root in the Zoroastrian religion. On the last Tuesday before Novruz you make a bonfire to jump over and light up candles in the house. Each candle represents your family member. Each individual makes a wish, and it is said that the candle which dies out last represents the wish that will come true. So picking your candle wisely was always a difficult challenge for me. This is what I feel, and I am so sure that many positive things are waiting all of us. So as you come together to celebrate, rekindle friendships or make new ones, stay open, stay positive and something magical will happen. And if you really want some extra protection, then burn some uzarlik (rue), as it will provide you protection from evil eyes and negative energies. Here’s to new beginnings, new adventures and new life! 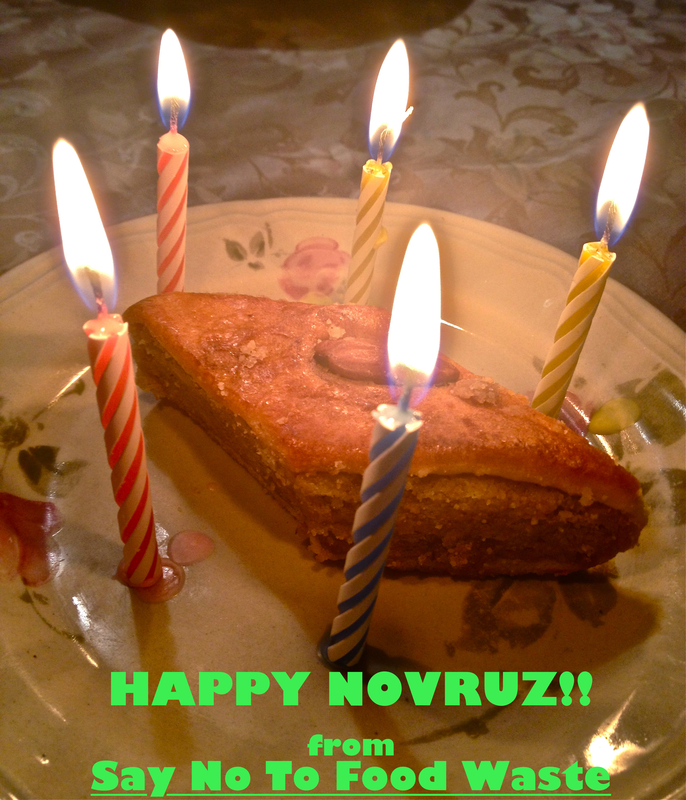 Posted on March 19, 2014 by saynotofoodwastePosted in BlogTagged life, love, nature, Novruz, novruz celebration, Spring.